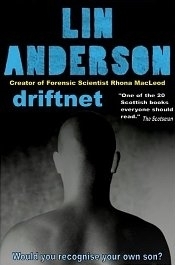 Lin Anderson's BRAVEHEART book is now on sale as an eBook at the UK Kindle Store, and at the USA Kindle Store. 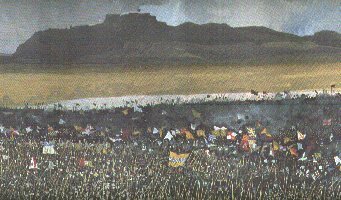 The battle of Bannockburn was undoubtedly of one of the most spectacular battles of the Scottish Wars of Independence. Although the struggle against the English was to continue for some 13 years more, the Scottish victory was of enormous importance as it secured the future of the throne for Robert Bruce, King of Scots. To avoid confusion, at this point it should be noted that Robert Bruce, shown as a traitor in the film Braveheart, was no such thing. Never on any occasion did Bruce betray Wallace, since in actual fact, Wallace's support lay with the restoration of John Baliol as King, Bruce's rival claimant to the Scottish throne. Baliol was a weak man, this being the main reason that Edward of England favoured him. He was given the name " Toom Tabard" (empty coat) after his coat of arms was taken from him after backing down to English demands . 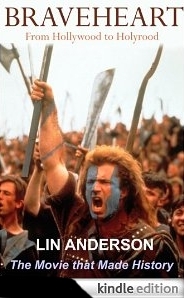 Bruce was a man of outstanding bravery and courage, who with the aid of amazing tactics and pure perseverance, led the Scots through 30 years of war to win their longed-for freedom.